This year’s MSc Web Science students had their first opportunity to share their current research interests with an audience of CDT students. The session was chaired by MSc Programme Leader Professor Les Carr and CDT Director, Dr Mark Weal. 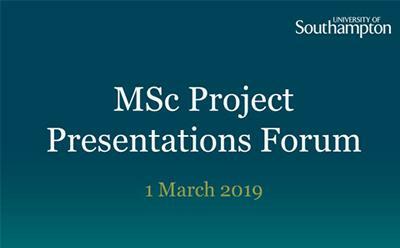 The MSc summer projects would be developed in due course into full PhD research proposals by those students continuing onto year 2 of the iPhD Web Science programme. The exploitation of open-source data in the “find” function of the targeting cycle.